GREENSBORO - Former Massachusetts Pirate Dashawn Johnson (6’4”, 310) has switched allegiances, signing with Carolina for the upcoming season. 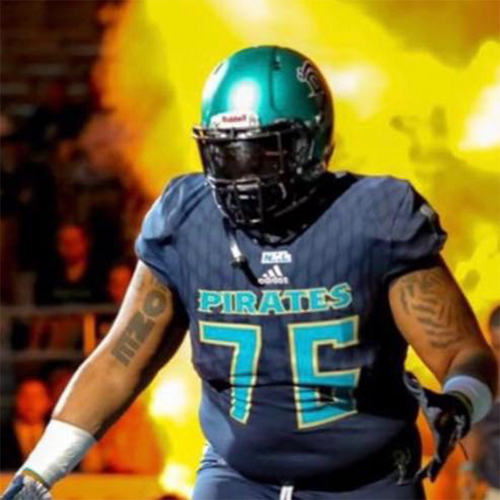 The offensive lineman has played with multiple teams in the past, including the LA Kiss and the Cleveland Gladiators of the AFL, the Guangzhou Power of the CAFL, and has attended the Green Bay Packers’ rookie orientation camp. Johnson is a Jersey City, New Jersey, native, where he attended Hoboken High School. Following his time in high school, he attended and played football for William Paterson University in Wayne, New Jersey.